Look at this stunning La Femme 26994 dress. This dress has a deep V Neckline with a sheer fabric for a more modest look. There is a high slit going up the left leg. The back is open and has a zipper for closure. 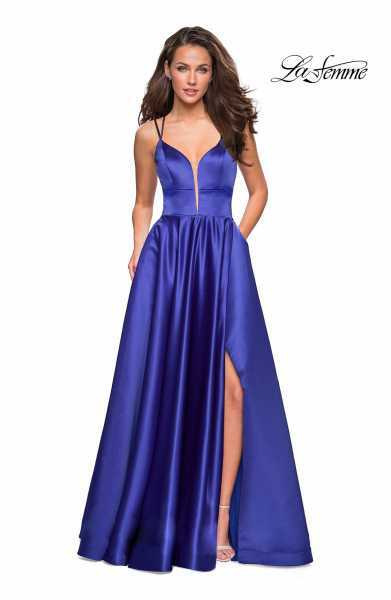 The dress is made of a Satin material.